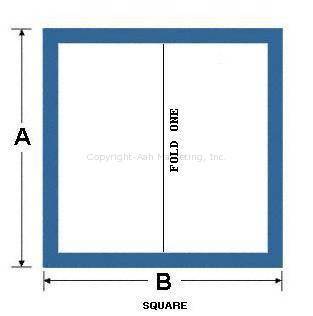 Utilize this Radius Template to help determine the correct radius measurement. MarquisHotTubCover.com has Specifications of different spa manufacturers and their spas. We utilize this Encyclopedia to match up the correct spa cover dimensions to your spa. So the more information you know about your spa (manufacturer, model and model year), the easier it is to get you the correct spa cover. 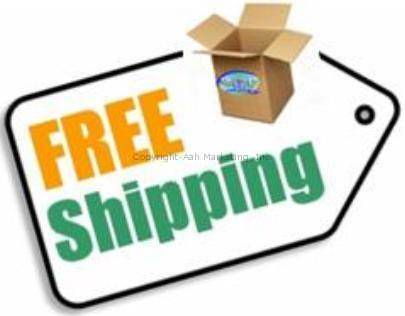 However, we ask that you also spend a few minutes to measure so that we can confirm we are shipping you the correct cover. Follow the instructions below to provide us measurements as close as possible. It is best if you measure your existing cover and not your spa. In order to get the proper length and width, measure across the seam, then perpendicular to that. If you do not have a cover to measure from, then you must measure all the outside dimensions of the spa. The cover has a flap around the edges of the spa called a skirt. The skirt must easily sit over the edges of the spa, with a little room to spare. Therefore, it is always better to measure slightly larger than smaller. When measuring, it is always better to measure slightly larger than your spa. This will not cause a problem. If you make a mistake, and measure too small, the cover will not fit properly, will not sit flat and will not hold the heat in. 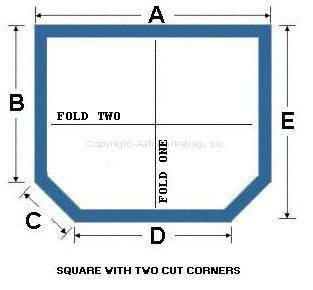 If you are unsure about how to measure your spa or spa cover, please do not hesitate to call us at 1-856-437-0185. Measurement A- Measure the shorter (narrower) length of the spa or cover. Measurement B- Measure the longer (wider) length of the spa or cover. 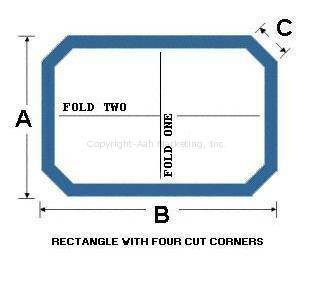 Measure the radius by placing a carpenter’s square on the outside of your spa or existing cover. 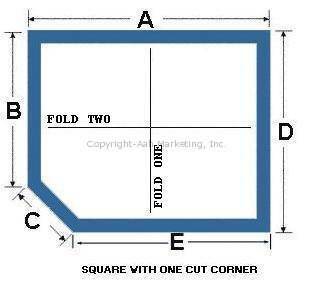 The distance between the corner of the carpenter’s square and the place where it TOUCHES the spa (A) equals the radius of the curve (see diagram). The measurement for (B) should be exactly the same. The standard radius is between 5 to 9 inches. Another method to determine the radius of your spa’s corners is to take a sheet of paper and trace around one of the curved corners of your spa or existing cover. 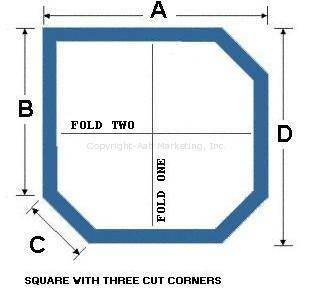 Remove the paper and by freehand (or with a divider/measuring compass) complete drawing the full circle. 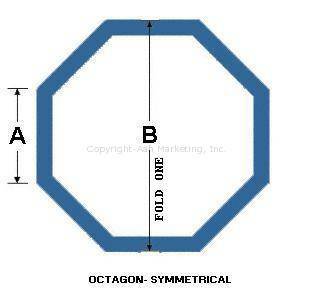 Then measure across the middle of the circle you drew, and divide by 2. 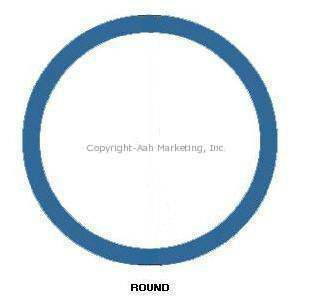 This number is the radius. The standard radius is between 5 – 9 inches. The key is to NOT make the radius too big. 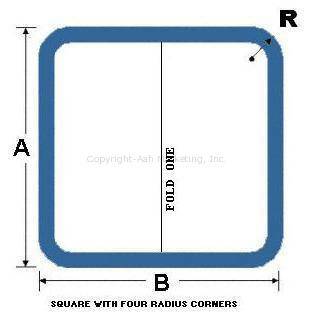 If you measure the radius too large, it WILL NOT cover the radius corner. However, if you measure it too small, it will be just fine. It may hang over slightly but there will not be a noticeable difference. When in doubt, use the smaller measurement. The smaller the radius measurement, the larger the cover will be. 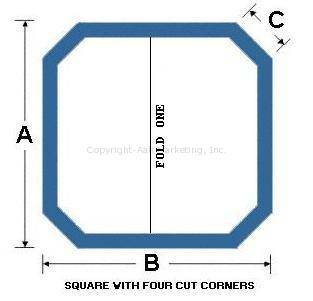 The larger the radius, the more the cover will be “cut off”. 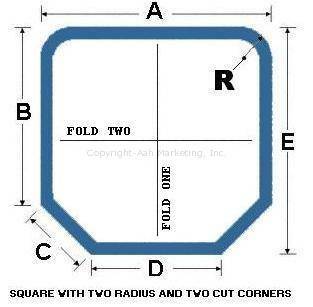 You can also utilize this Radius Template to help determine the correct radius measurement. 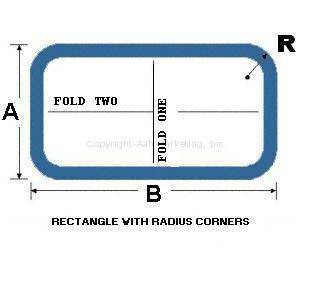 Radius Template. The cover has a flap (typically 2-6 inches) around the edges of the spa called a skirt. your existing skirt length or use the default measurement for your particular spa. The longest the skirt can be is 6 inches. You will want this to hang straight down. enough to cover the spa lip, or the spa cabinet rim. If you have any questions about this, please contact us at 1-856-437-0185. 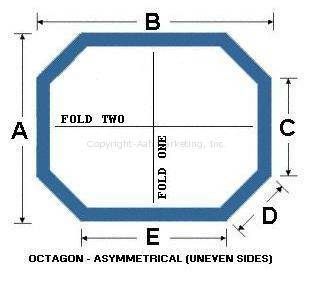 Please look at the Spa Cover Shape Diagrams to determine the Fold of your cover. 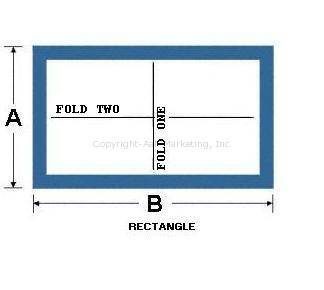 Select either Fold ONE or Fold TWO. The industry standard is to cut the bigger size in half.